The water velocity probe consists of a protected water turbo prop positive displacement sensor coupled with an expandable probe handle ending in a digital readout display. The water flow meter incorporates true velocity averaging for the most accurate flow measurements. The Flow Probe is ideal for storm water runoff studies, sewer flow measurements, measuring flows in rivers and streams, and monitoring water velocity in ditches and canals. The Flow Probe handle can telescope from 3.7 feet to 6 feet in length (FP111), 5.5 feet to 15 feet (FP211), or 2.5 feet to 5.5 feet (FP311). The handle is constructed of anodized aluminum for light weight and long life. The 15 foot length of the FP211, Flow Probe, allows for measuring sewer flows from street level and measuring stream flows from low bridges. While the 2.5 foot collapsed length of the FP311, Flow Probe is ideal for carrying into remote flow monitoring areas. 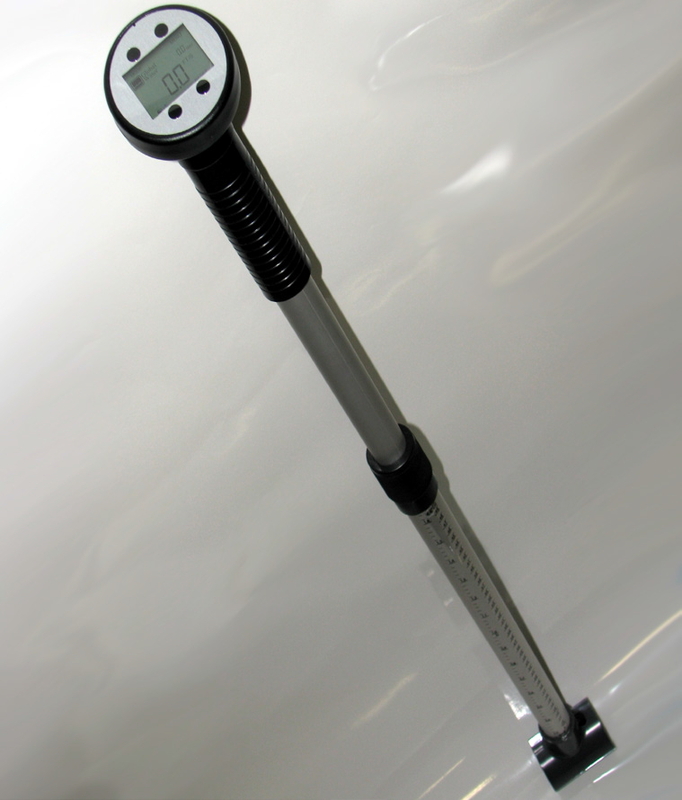 A 3-foot (1.7-feet for the FP311) mylar coated staff gauge (graduated in hundredths of a foot and centimeters) is attached to the lower section of the water velocity probe for instant water depth measurements and accurate propeller positioning. (3.7 to 6 ft handle) including carrying case. Note pole color of shipped instrument may be different than shown. (5.5 to 14 ft handle) including carrying case. (2.5 to 5.5 ft handle) including carrying case. (3.7 to 6 ft handle w/swivel) including carrying case.